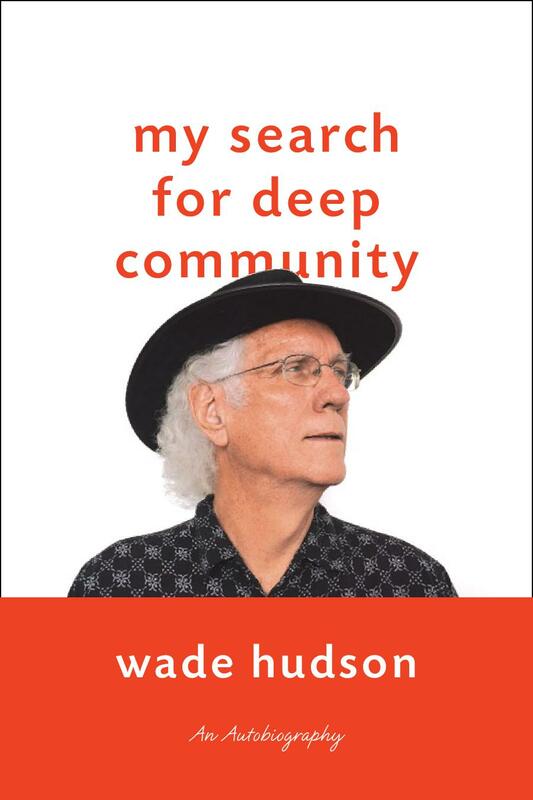 After making some corrections, I’ll be posting My Search for Deep Community: An Autobiography to the Web. If you want to receive the chapters as they are posted, you can subscribe here: http://www.deepcommunity.org/ I just posted the Front Matter. Gas-guzzling Uber cars are killing San Francisco’s energy-efficient taxi industry. San Francisco needs to protect and improve its publicly regulated taxi system. Prior to Uber, which uses smartphone apps that allow customers to get rides from drivers using their personal cars, San Francisco limited the number of taxis. That policy enabled drivers to make a decent living, so they stuck with it, became more knowledgeable, provided better service, and had a relatively good attitude with tourists. We were called “ambassadors of tourism,” the City’s biggest industry. Many passengers visiting the City told me they were impressed with San Francisco cab drivers. Cab companies made enough money to buy new cars frequently, so the City requires all new taxis to use natural gas or electricity. The City also requires drivers to service all law-abiding people and accept paratransit vouchers for seniors and the disabled. And the City requires drivers to undergo background checks for egregious criminal activity and requires cab companies to carry substantial insurance to cover accidents whenever the cab is in operation. None of these regulations apply to Uber. So as Uber grows and taxis decline, the City will suffer. But the California Public Utilities Commission ruled that Uber vehicles are not “taxis,” even though the dictionary defines that term as “a car that carries passengers to a place for an amount of money that is based on the distance traveled.” So Uber enables several thousand cars to illegally operate as taxis and take business away from taxi drivers, which adds to air pollution. Uber, which means “over” in German, considers itself above those regulations. The word “Ubermensch,” or Superman, was central to Hitler’s philosophy. Why a company would brand itself with that word boggles my mind. I take it to be a reflection of Uber’s arrogance, and the elitism of the tech world. This development is another example of worshipping the “free market.” Uber declares its intention to break up the “taxi monopoly.” To see that what future will look like, take a taxi in Washington, DC, where there has been no limit on the number of taxis, and observe the condition of the old, run-down vehicle. What is Uber? A paragon of free market efficiency and technological innovation serving the greater convenience and comfort of the general public? Or living proof for why capitalist societies require regulation? Taxis, badly losing the battle on San Francisco’s streets, are finally fighting back. After seeing 65 percent of their business migrate to ride services like Uber, Lyft and Sidecar, taxi drivers and company owners, at odds for decades, have joined forces — not only with one another but with their overseer, the Municipal Transportation Agency. Their common goal is to save the taxi industry — highly regulated by the city as part of its transportation network — from extinction at the hands of the largely unregulated upstarts… . an economic problem in which every individual tries to reap the greatest benefit from a given resource. As the demand for the resource overwhelms the supply, every individual who consumes an additional unit directly harms others who can no longer enjoy the benefits. Yellow Cab, the City’s largest company, used to fill all of its available shifts. Last month, it filled only two-thirds. That means fewer hybrids on the street and more air pollution, thanks to Uber. As I told the California Public Utilities Commission at a hearing last week, when I was thinking about switching the Uber, I asked Uber if they have a limit on the number of Uber drivers. They told me that they do not, and have no plan to establish a limit. the average 30 year old might be holding down four or five jobs simultaneously in this brave new world–driving an Uber car while renting their spare room on Air BnB and raising money for their video on Kickstarter while doing odd jobs on Taskrabbit. for better or worse – the sharing economy has to lower the GDP and at least currently would speed up the demise of the middleclass and push more onto the long tail of minuscule incomes that in turn accelerates the sharing economy since that is the only way these folks can survive. This all has many unintended consequences and in the long run may not enhance sustainability. The writer Venkatesh Rao makes the basic point that the so called sharing economy is designed by the 1% to help the 90% destroy the livelihoods of the 9% who make up the small business middle class. Whether “designed” for that purpose or not, Rao describes the Internet-facilitated impact precisely: another reason for growing inequality. I rode in a few Uber cars and learned from the drivers that they must drive six ten-hour shifts each week in order to make a non-poverty income. As the number of Uber drivers increases and it becomes harder to make money, Uber drivers are going to be more stressed out and will drive more recklessly. One reason I’ve driven taxi half-time is that I could make enough money to live simply and have time to do my community-service work as a volunteer. Then I got on the first-come, first-served list to get my own permit, or medallion, for a small sum, and did after twelve years. Since then, I no longer have had to rent my cab and, through the company, I collect rent from others who use my taxi when I don’t drive. Now, however, I fear that my medallion will soon be worth much less. Already my income has taken a big hit. My monthly share of our co-op’s profits has declined by almost 50%. So I’ve devoted long hours to evaluating different options and developing an emergency, barebones budget in case I become disabled prematurely. And for the first time in my life, at the age of 70, I’m getting serious about saving money. I also drove more taxi to see how much I can earn now that City streets are flooded with Uber vehicles (and Lyft cars, another so-called “transportation network company”). So I was driving more and writing less than I would prefer, which was frustrating. Fortunately, I’ve finally developed a good plan for how to proceed. The breakthrough was discovering that seniors in San Francisco have access to free and low-cost food. Monday I paid $1.50 at the Salvation Army for a good meal and walked away with five granola bars and four apples. And next week I’ll start getting one of the bags of free food from the Food Bank that are delivered to my building. And I’ve learned that the maximum food stamp allotment is $179 per month. So I now realize I won’t have to worry about going hungry. And here at my residence, when I move to the top of the list for the Section 8 subsidy, my rent will only be 30% of my income (after counting 2% of my assets as income). At that point, my rent may be only $300 per month. So if I have to, once I stop driving taxi, I figure I can manage if I stop paying for massages, concerts, and movies, and get the cheapest cable, Internet, and phone services. In the meantime, however, I’ll still indulge in my middle-class comforts and travel two months a year. But that reality check has prompted me to now take public transit home at night and limit myself to one restaurant per month (except when I travel). My current budget indicates that I can do that and still save $500 per month by driving taxi 20 hours a week. This plan will enable me to get back to my real work, which will include posting more here. I do not believe that most Americans do not give a damn and I do give a damn about them. What you write is important, valid and of hopeful spirit. I know from the experience of being retired and not having the same work community that nourished me in the banter of staying true to myself while listening to others opinions is deeply missed. And, I find there is a community divide within the labels we once gave, such as, “lefties”, progressives, liberals, moderates, conservatives. It is more difficult today to organize within a local community around local issues nonetheless national or international issues. Unless the community is organic, it is difficult to sustain. I applaud your many attempts, your consistency, your hope, your creativity, your thoughts and words. Everyday I try and make a commitment to be involved and each day that commitment is softer than the day before. If there is anything I need more at this point in my life is a quiet, contemplative arena to rid myself of the cynicism of today’s politics and my aging. Thank you always for trying. Thank you always for your faith and hope. Thanks for your kind words and best of luck finding that arena that will enable you to deal with cynicism, which certainly afflicts me from time to time. You explore here the most important questions of our time: Is it possible to transform society in line with what people really want and need, and if so, how might that be accomplished? These are questions I too have been studying and thinking about for more than ten years. As part of my research, I looked in history at examples of revolutions and of mass movements, both those that succeeded and those that failed. And I have noted the differences between conditions then, and the nature of our regimes today, which include sophisticated means of mass propaganda and mind control. My negative conclusion from these studies is that a mass movement, where deep community comes from being a member of the movement, is not a viable approach in our modern societies. If they are not suppressed, they will be co-opted. In the domain of mass persuasion, and with it’s ability to ‘create conditions’, the state cannot be overcome. My positive conclusion from these studies is that a decentralized movement, where deep community comes from belonging to an engaged local community, does show hope for bringing about transformation. Among other advantages, such has not having a vulnerable center, a community-oriented movement can be inclusive, while a mass movement is always divisive, particularly in its early stages. How to build such a movement, however, has eluded my grasp so far. My latest ideas are here: Building the new in the shadow of the old. Evading the system is impossible. Co-optation is inevitable and is problematic only if it leads people to be satisfied. We need to steadily restructure the system step-by-step, while keeping our eyes on the long term. Local efforts are valuable, but eventually they must unite to change national policy. Otherwise they reinforce those policies. Hi – yeah – I like the idea of linking up – formalizing a community grfoup with a representative. Kinda obvious really — integrating grass rfoots into the “system.” It requires the representative to be responsive. it would be nice if there was a way for it not to be only depedndent on each community to create it for themselves but in concert with a national movement. Good to hear, Roger. Might you want to meet with one or more close friends to experiment with one or more models for how to structure such a group? Great idea! I’ll be listening out for anything that may help you in this search, and for any insights you gain or any such tools you create. that some people don’t want to submit to any power whatsoever. Because of these points, people have been experimenting with various non-theistic, non-submissive versions of the AA approach. Which is fine if it works better for them. That would be one suitable tool, wouldn’t it? Yes, I agree AA is suggestive, but limited. I also think it’s 12 steps are too complicated. I hope to continue to experiment with developing a model or models and to suggest to others that they do the same. I’m particularly interested in doing it with people interested in impacting national policy. A friend recently asked me, “What is missing in your life?” I replied, “I would like to participate in a massive grassroots movement to impact national policy.” She replied, “That’s a tall order” and changed the subject. Her response is typical. Interest in building a national movement is limited. Different individuals have different issues. Trying to tell others how they need to change is counter-productive. Each individual can make their own decisions. But we can support one another in these efforts, if only by listening to one another report on our successes and challenges. Growing a unified movement will be enhanced if we develop user-friendly tools, like Alcoholics Anonymous did, that concerned individuals, without going through any elaborate training, can easily use to meet the unmet need for deep connection. I would like to experiment with such options that could be easily replicated, and learn about other such efforts. We also need to develop new structures that will facilitate broader political engagement between elections. The other night, a disturbing dream woke me up in the middle of the night. It involved a double murder, the first of which was a mistake. The dream left me with a sense that my dream of a national movement was dead. I had trouble going back to sleep. But I woke up with a wrinkle on an old idea: get a group together to engage in a series of open-ended, problem-solving discussions with their Congressperson’s office about how the Congressperson and the community might work together to build that movement. One option that could be placed on the table at the outset would be monthly Congressional Community Dialogs, the carefully structured forums I’ve been proposing for some time. Regardless, we need to keep on pressin’ on. If we do, eventually we can fulfill that dream that Abdul-Jabbar and so many others have articulated.